What Should a Good Remote CCTV Service be Offering? Home » What Should a Good Remote CCTV Service be Offering? When looking for a CCTV service for your property, it’s important to know what to look for, and how a remote CCTV installation & monitoring service can benefit you. A good remote CCTV installation & monitoring service should be offering you all of the following: consultation, installation, monitoring and servicing. This is the CCTV Monitoring Ltd template for service excellence, and is what you should be looking out for when choosing a service provider for your remote CCTV needs. 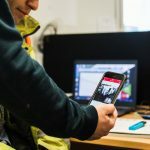 The process should always begin with a consultation: a face-to-face meeting to familiarise ourselves with your site and is crucial to making a professional assessment of your on-site security challenges, and therefore solutions that we can then put in place. A face-to-face meeting isn’t just about taking a look over your property; it’s about meeting you, allowing you the chance to speak about the problems you have faced, and those that you believe continue to leave your site vulnerable. Your input is invaluable – a good service provider recognises this. It is important to know that working closely with your provider is vital, without it you may not have the peace of mind of knowing that your security is in truly capable hands. 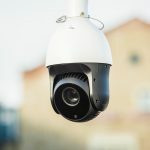 At CCTV Monitoring Ltd we foster this sense of security via our four-stage consultation process: a site visit to assess your challenges, a risk assessment to assure the safety of all involved, development of a unique system specification and a final proposal of your site security needs. After a professional assessment of your security needs, an installation should follow. Installing remote CCTV can be complicated, delicate and technical. Because of the nature of much of the tech involved, installations should only be carried out by highly skilled and qualified professional engineers. Ensuring high installation standards are maintained, CCTV Monitoring Ltd staff are fully qualified, trained and possess the know-how to navigate their way around the very latest technology. It’s what we do – so we ensure we do it well! We deal with HD CCTV at the pinnacle of remote monitoring innovation, solar-powered security systems that are ideal for remote locations or as an eco-alternative, and advanced battery systems. Once your CCTV has been installed correctly it’s rendered close to useless without continual, round-the-clock monitoring. That’s why it’s absolutely key to pick a service provider with the capability to monitor your cameras 24/7. CCTV Monitoring Ltd has an in-house SureView Gold Certified Station, manned by SIA licensed professional monitoring staff, trained in the crucial reactionary process following intruder detection. The key to our service lies in an award-winning Immix video alarm receiving platform, with the use of this tool the CCTV team is able to react faster and smarter within seconds of an incident. We also involve you in the process through our mobile App – playback, zoom in on and watch your site from anywhere in the world. If you’re the kind of person who appreciates a level of control over your site security, this is the perfect solution for you. The process shouldn’t end with monitoring however, aftercare is key and a staple part of a good service providers offering. CCTV equipment needs to be serviced to maintain its effectiveness and to ensure it’s serving its purpose. To this end CCTV Monitoring Ltd assesses, troubleshoots, maintains and reconfigures your tech to deliver on it’s potential. All of the above should be on the table with any high-quality CCTV service provider. Don’t miss out on the offering you need to feel secure, sub-standard service isn’t enough when it comes to your security. Speak to one of our sales team today for more information about what remote CCTV offering is right for you.